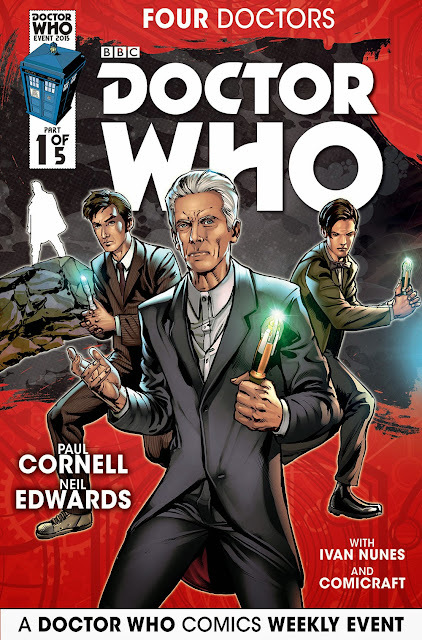 Doctor Who: Tenth, Eleventh & Twelfth Doctors together in new 5-part comic book event | Warped Factor - Words in the Key of Geek. 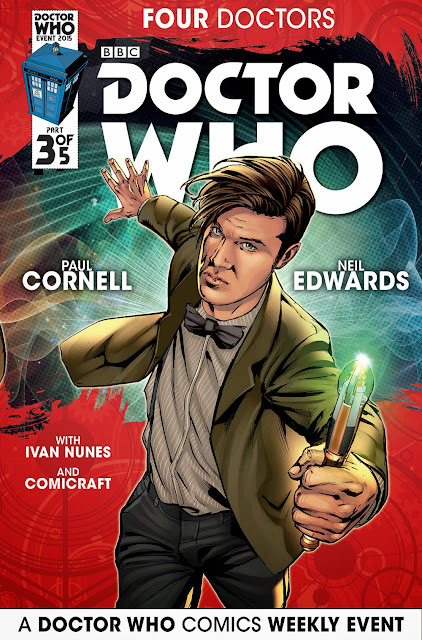 Titan Comics announce Doctor Who Comics 5-part weekly Summer event. 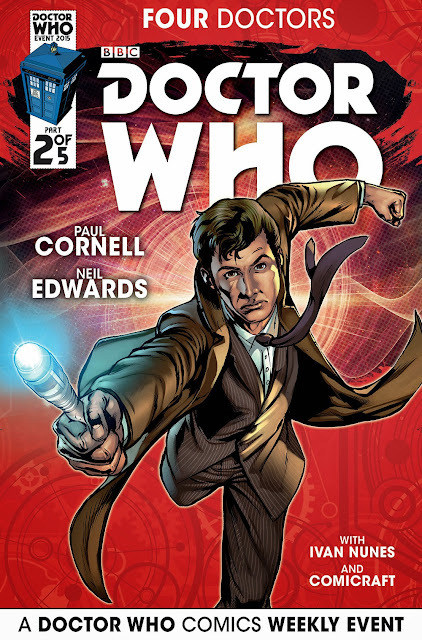 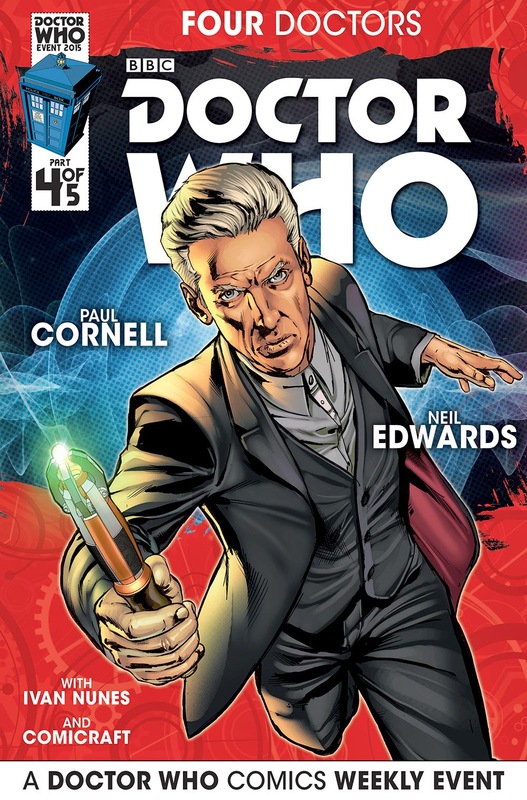 Coming this Summer is a brand new 5-part weekly comic book event series, written by Paul Cornell and illustrated by Neil Edwards, and starring the Tenth, Eleventh and Twelfth Doctors alongside their comic book companions! 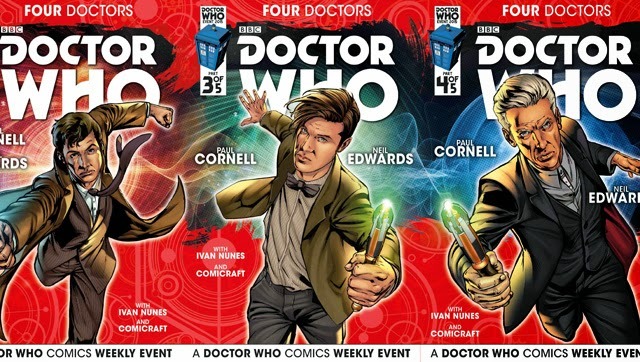 The weekly event, running through August and September 2015, in place of the ongoing series, features all three Doctors from Titan's regular ongoings. 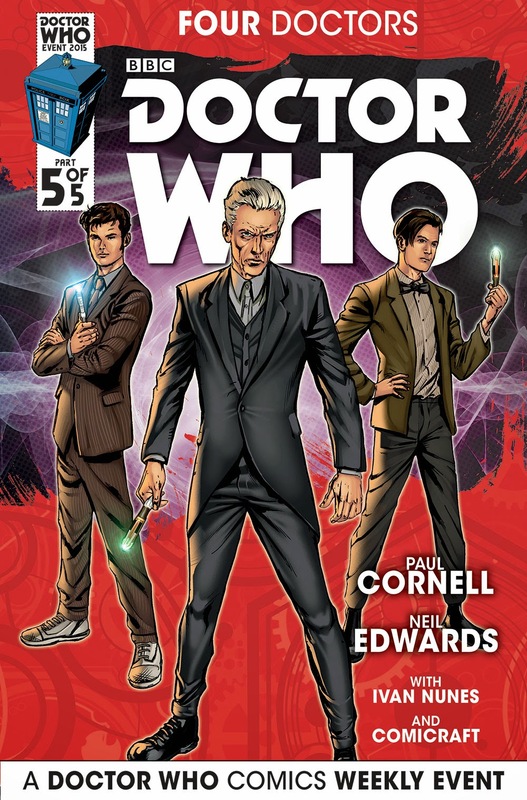 This epic event is the thrilling next chapter in Titan Comics' bombastic Doctor Who publishing saga. The first issue releases Wednesday August 12, supported by the global Doctor Who Comics Day on Saturday August 15! The ​e​vent follows straight on from the issue #15 conclusions of Year One, with the second years of the Tenth, Eleventh and Twelfth Doctors beginning after the event's blistering finale!